Learn how you can save time planning social media to boost your efficiency and online presence with CoSchedule today. Many times, social media plays the role of the villain when it comes to productivity. It starts with the creation of content. Each platform requires a different approach as well as a different image size. Some are hashtag-friendly, others aren’t. Everything happens so fast on Twitter, for instance, you can post 15 times a day and still not be seen. But don’t try the same strategy on Facebook or you’ll be considered a spammer. And its already-hard-to-crack algorithm will hurt your marketing efforts even more. How can you manage all this madness without going insane? Is it possible to stay consistent and relevant while trying to be more efficient? Is there a way to save time planning social media that won’t break your budget or take away your sleeping hours? Social media doesn’t have to be on the other side of your productivity. It’s possible to enjoy both if you set the right strategy. And it doesn’t apply only to influencers. 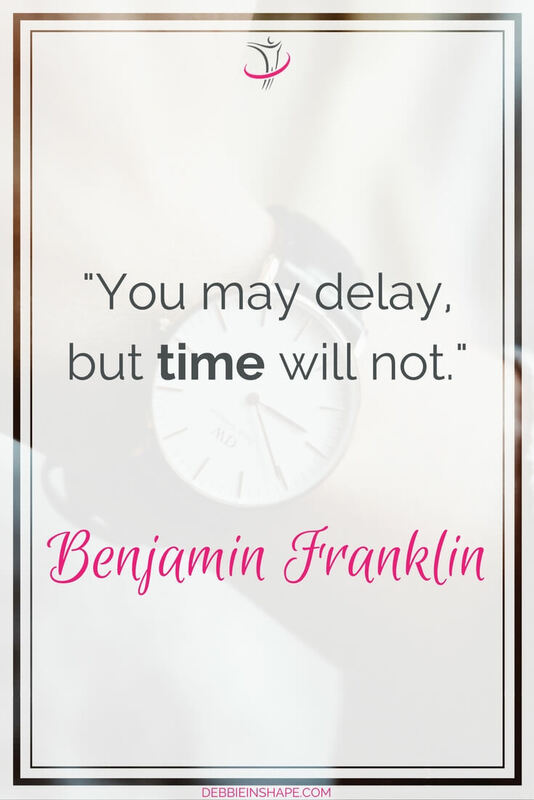 Any person who uses social media can take advantage of the benefits of scheduling their posts in advance. My personal favorite tool for that is CoSchedule. Want to share your vacation pictures? Filmed various workouts on the same day? Tried that new recipe? Keep your friends and followers wanting for more (instead of annoying them) by strategically spreading your updates. 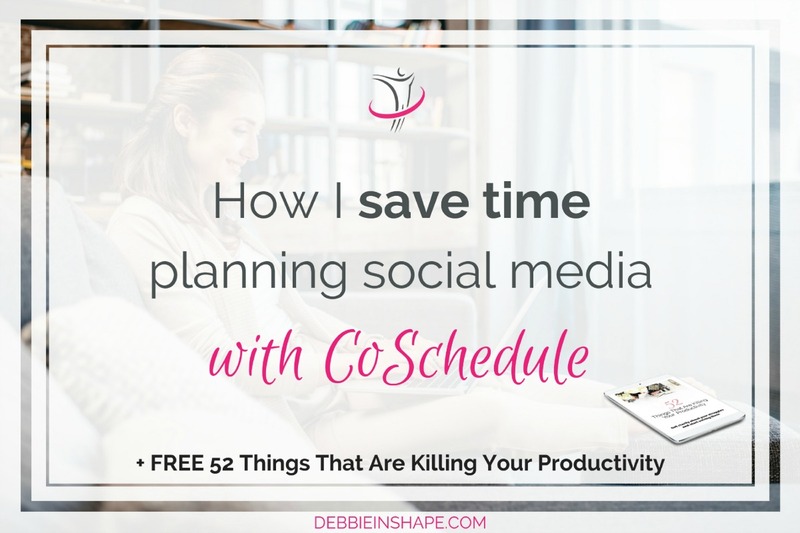 It isn’t the first time I write about how I use CoSchedule to plan my social media presence. Both blogs posts contain tutorial videos that will guide through the steps I take. But the team behind CoSchedule never stops. They’re always launching new features to make our life even easier. As the needs of bloggers, entrepreneurs, and marketeers evolve, so does the tool. 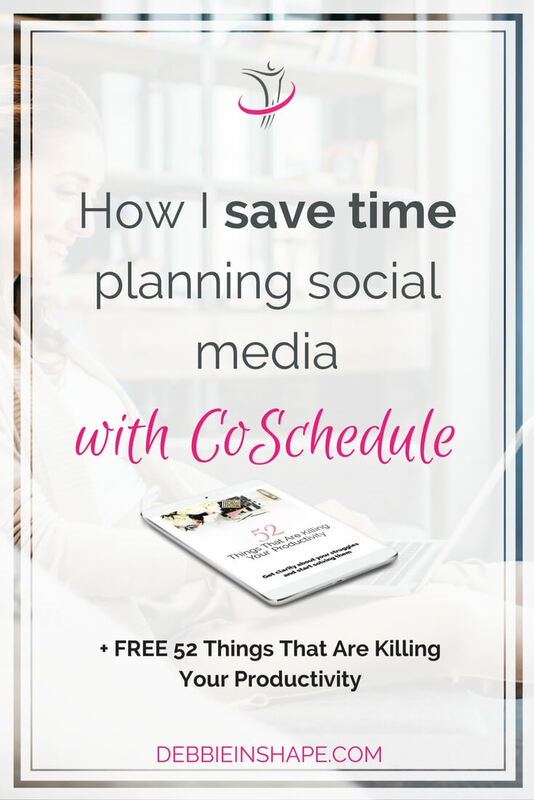 Below I share how I save time planning social media with the most recently added features from CoSchedule. Even though I live in Europe, most of my readers are in the US, UK, and Canada. Except for Britain, I’m asleep when most of my Tribe is active. As living in a different time zone isn’t an option, I get some help from CoSchedule. Most of my Social Templates are set for “Best Time” which means that CoSchedule chooses when to share my posts for more visibility. And it works for all platforms. Choose what’s best for you, also for campaigns as well as for individual posts. I come from back in the day when you had to have a WordPress.org blog to use CoSchedule. Now, not only it isn’t necessary anymore, but you can even schedule content curation right from your browser. Like what you read and want to share it with your tribe (HINT: this article 😉 )? Use the CoSchedule Chrome Extension and plan it for when it fits you better. I love this feature because as I block times during the day when I catch up with new articles, sharing everything as I read them would be spammy. Besides, it’s a task that isn’t a priority on my list. Therefore, I don’t do it every day. 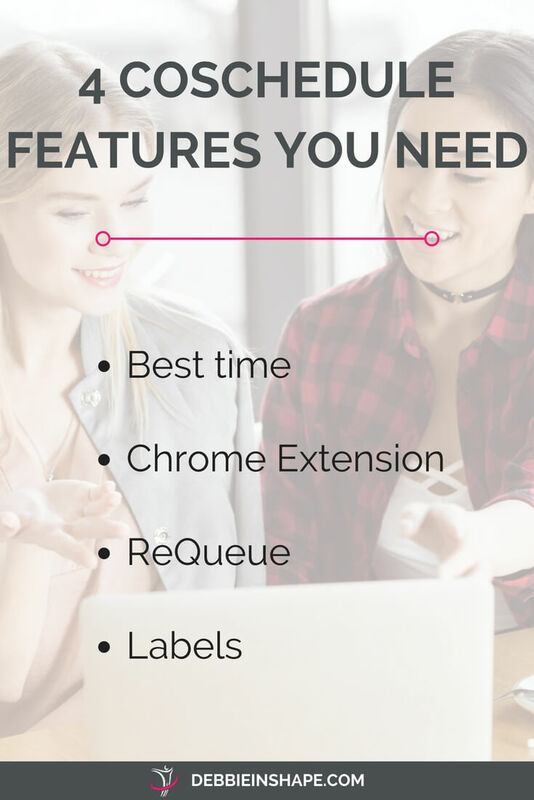 ReQueue is another great feature from CoSchedule. As a proud member of the testing team, I can tell you they actually listened to our requests and needs. The awesome thing about ReQueue is that it allows you to mix up fresh content with good-and-old evergreen stuff without much effort. It’s pretty much an autopilot you set up once, and CoSchedule does all the (dirty) work for you. The combo Social Templates and ReQueue permits that I set recurring shares for the future when I’m scheduling a blog post for the first time, for instance. All without being repetitive to my readers. And if you don’t want one group of messages to be resent anymore, just pause the queue. With CoSchedule, you could use color labels for your social shares for a while already. The recent change, though, is that you can name them. I don’t use all my labels every time. Picking the color for something else. Using another color for the same topic. Now that I can name them, it doesn’t happen anymore. Besides, it’s also easier to spot any unbalances in the distribution of my content. What’s the number one advantage of using a tool like CoSchedule for social media planning? Instead of wasting hours posting, I use them to engage with people. Social media is about connections. Yes, some brands require X-number of followers to sign up a contract with influencers. But a lot more important than empty numbers is that the conversations you bring up. That’s only possible with genuine engagement. If you need help to learn how to your time wisely to be more efficient, come over to our challenge.